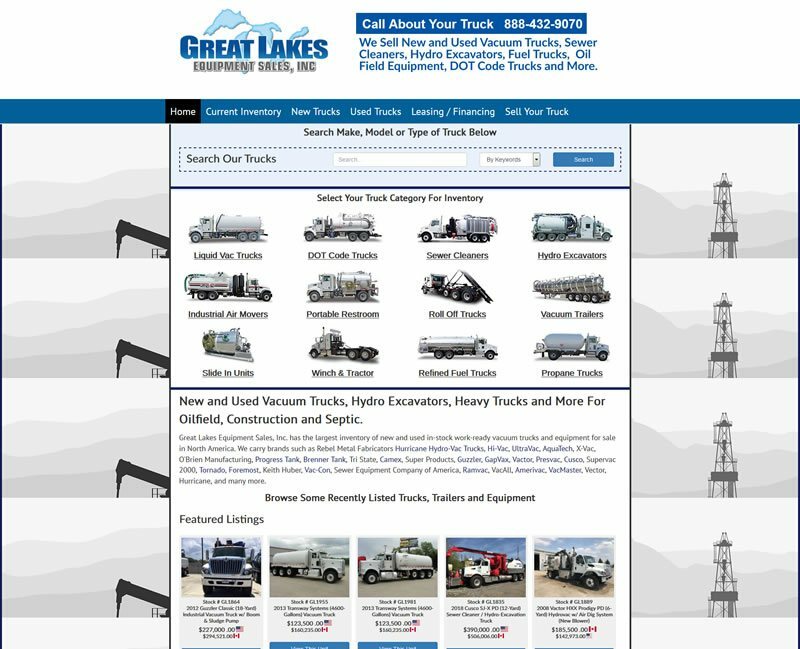 Great Lakes Equipment Inc Website And Inventory System. Great Lakes Equipment Sales, Inc. Is a heavy equipment sales and leasing company based out of Crestwood, Illinois. They specialize in selling Vacuum Trucks such as hydrovac trucks, sewer pumping trucks, roll-off trucks, and more to buyers all around the world. We actually approached the owner Jeff R. with cold-call offering him a competing website we already owned and had built in his industry for our own lead generation purposes. The site ranked in Google well and was generating equipment buyer leads from all over North America. 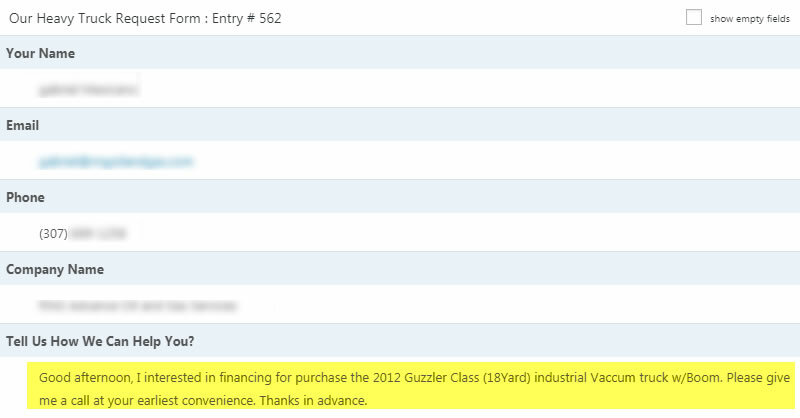 We gave several of the leads to Jeff and he eventually decided to purchase the website from us outright! A few months later he hired us to completely redo his main website www.usedvacuumtrucks.com and hired us to manage the website and his online marketing. Jeff had been held hostage for a long-time by a larger company that provides very expensive website and marketing solutions to vehicle and equipment dealers. The website was poorly laid out, SEO was almost non-existent, and it was very difficult for Jeff to add his inventory and customize how his trucks were displayed. How Did We Help Jeff And Great Lakes Equipment Sales, Inc.? The first step was to build and develop a new inventory listing system for Jeff where he could easily upload truck information, organize his trucks into categories, and make them very easy to display to his potential customers. The ability to add/manage lots of good quality photos is extremely important for selling these very expensive trucks to international buyers so we had to make sure the platform wouldn’t get bogged down with so much data. We are continually working on Jeff’s site by analyzing the data from Google Analytics and working to improve the websites rank (it ranks very well already) and make it easier for potential customers to learn about the heavy trucks and equipment they want to purchase. Want To Hire Us To Improve Your Contracting Company Website?